Pool building is our business. 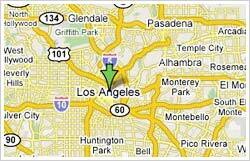 We offer reliable LA pool design service. Our LA pool design service is different from others because of the reasons given below. The first reason is our experience and expertise. We have been designing and building pools long before most of our competitors. In fact, we have been offering the service for almost four decades. It is needless to say more experience means more knowledge and higher level of expertise. All these are usually obvious in every LA pool design service that we render. We usually offer a lifetime warranty on our pools because of the level of confidence we have in our services. If you allow us to design and build your pool, you won’t experience any cracks or leaks. This is because we don’t take shortcuts or engage in sharp practices. We make use of the highest quality materials. Our pools are usually much more durable than what our competitors offer. This is because we make use of more steel in our pools to extend their lifespan. To prevent cracking, we make the bond beam much stronger. So, our pools can withstand the harshest conditions. Several pool inspectors have complained that we waste resources by using more steel than necessary. Yes, we can do well with fewer steel, we just don’t want to take chances. We prefer to leave it like that as our standard. This is why we get a lot of referrals. We will rather allow our pools to advertise themselves. We offer raised spa because water will penetrate through ordinary plaster in 6 years and you may be forced to raise the spa. We won’t allow you spend the money twice. This is why we will raise the spa from the beginning. So, we can comfortably say your spa will last a lifetime. Even though the standard for pools is 2 inch plumbing, we have raised the bar by using 3 inch plumbing. We have our reasons for that. With time, the roots will get into 2 inch plumbing and it will be a little expensive to remove them. We have saved our clients such expense by offering them 3 inch plumbing from the beginning. We are ASPS certified. This means the quality of our pools is about the highest in the city where we operate. We follow all the rules in ASPS manual strictly. This is why we are among the very few companies that have passed the test. We are financially stable, we are fully insured and we are bonded. Currently, we have more than $100,000 unsecured line of credit waiting for our use. So, we are always available for you and we will still be available three decades from now. We make use of Pentair pool equipment like heaters, filters, and pumps. This is because the company offers us 3 year warranty on all their products. We got the offer because of our 20-year relationship with Pentair. We can assure you that Pentair does not offer such warranty to any of our competitors. There are many other reasons to consider us ahead of others but these are the most important ones. While our charges may appear high, our services are more cost-effective as you may not have the cause to spend money on your pool for a very long time if we build it.